The RC-line roller conveyor machines available in in 3 different versions. 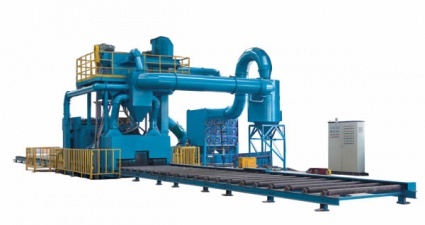 The S (Standard) & H (Heavy Duty) are shot blasting machines designed to process plates, sections, angles, pipes and others. Industries are shipyard, steel structure companies, steel stock holders, machine builders. The S & H version machines can be carried out with a pré heater, automatic painting unit and dryer. The C (Construction) machine is specially designed for post -fab structural components to be used in industries such as shipyard, automobile, motorcycle, bridge, machine and others to be used in industries such as steel structure, machine builders, shipyards and subcontractors. All machine types are available in S (Standard), H (Heavy Duty) and C (Construction) version.